It's the return of the cool kids of Hip Hop. 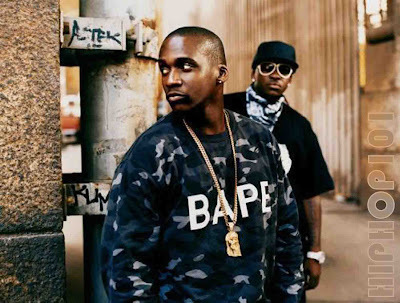 Clipse is one of those groups that has it all: swagger, humor, poise, and the lyrics to back it up. I was first introduced to the Virginia duo through they're nearly flawless 2006 sophomore album Hell Hath No Fury and have been a huge fan ever since. They're eagerly anticipated follow-up is, Till the Casket Drops, set to be released on December 8th and I've taken the pleasure of releasing three of the singles they've leaked from the album. I dropped "Popular Demand (Popeye's)" feat. Cam'ron yesterday on What's In Rotation, Vol. I, but hit the jump for the two other singles and the music video for "Kinda Like a Big Deal." Also, make sure to check out Fearce Villain (of Dyme Def)'s cover of the song here.